Patriots fans at Sugarloaf Sunday. CARRABASSETT VALLEY – More than 250 skiers and snowboarders clad in New England Patriots gear took to the slopes at Sugarloaf for a celebratory “Go Pats” run this morning. 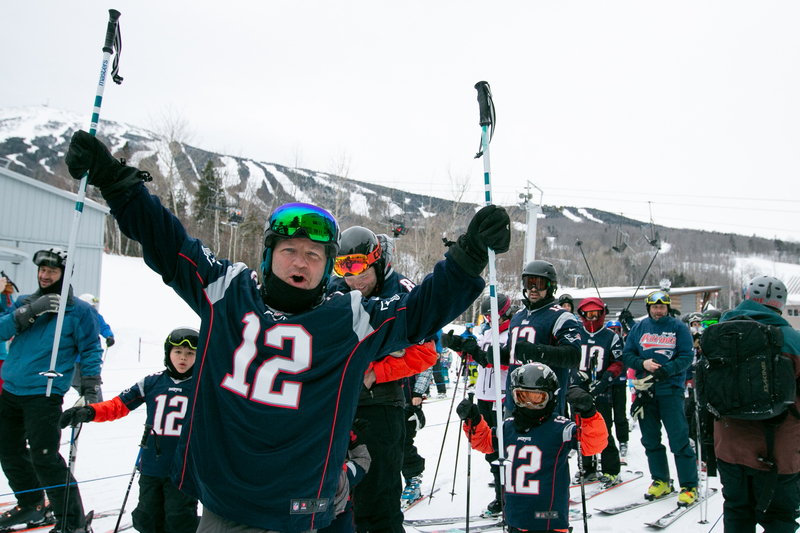 Skiers and riders who showed up in Patriots gear were able to purchase a $59 lift ticket on Super Bowl Sunday, and had the opportunity to earn a free voucher for an additional day of skiing or riding this season by participating in a group run on the Whiffletree trail. Patriots fans who stick around for the big game can also enjoy a viewing party with food and drink specials at the Widowmaker.